John Pinderhughes has worked as a commercial photographer in New York City for the past 35 years, operating his own full service studio. Advertising clients have included Con Edison, Verizon, Chase Bank, Anheuser Busch, BMW, American Family Insurance, Prudential Insurance, Ford Motors, JC Penney, Sears, McDonalds, Burger King, Coors, Pepsi, Sony, with numerous other clients upon request. as a small sampling. Editorial clients have included Black Enterprise, Food & Wine, Odyssey Couleur, Family Circle, Essence, The New York Times, Scientific American, as a small sampling. Pinderhughes has also managed to pursue a career in fine art, which includes numerous one-man shows. His exhibition venues include, the Studio Museum, the Museum of Modern Art, the Brooklyn Museum, the Bronx Museum, the Smithsonian Institution... Pinderhughes has received numerous awards and grants, and is the author of a cookbook, Family of the Spirit (Simon & Schuster, 1990), six children’s books and Coming Together (Hyperion, 2003), a collaboration with author Harriette Cole. 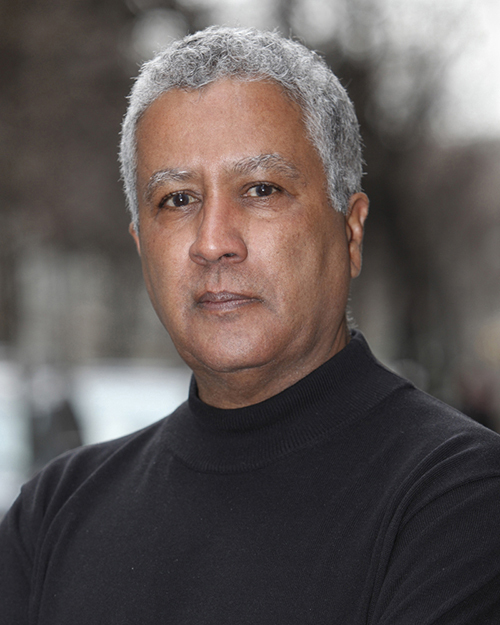 Pinderhughes has served on the board of the Advertising Photographers Of America (NY). He has been an adjunct professor of photography in the Photo Department at New York University. He serves on the board of The Nature Conservancy (Loing Island Chapter} He has been recognized as a Canon Print Master and a Canon Explorer of Light. John Pinderhughes lives in New York City with his wife Victoria and their daughters.